Just dabbing with an old page of heads. 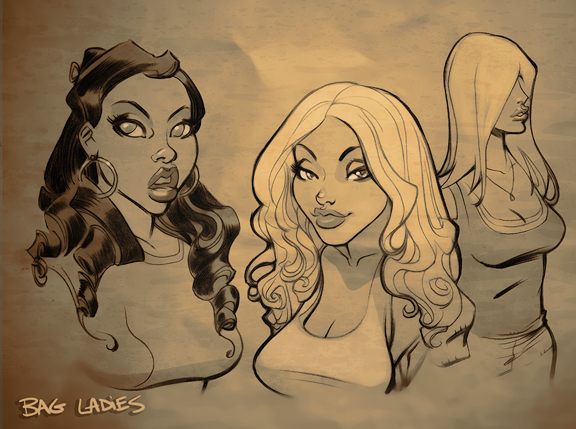 Sepia tone + texture overlay + lighting effect = total copout used to make unpolished art look "done." Allllllmost works, doesn't it? I *will* draw arms and feet, promise!! !